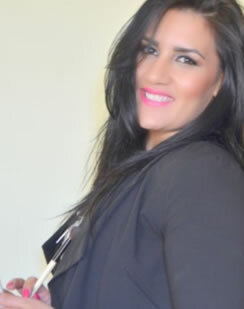 Manal is a professional makeup artist and owner of Monroe Beauty in Calgary. She is also the Account Executive for Central Canada for Smashbox Cosmetics. She has graduated from SAIT with a business marketing diploma and Bow Valley College with an event management certificate. She has been in the cosmetics industry for over 8 years. Manal has won the COSA (Cosmetics Outstanding Service Award) award for 2011. She has worked with over a hundred recognized cosmetics/skin care brands like Chanel, YSL, Smashbox, Cargo, Stila, Lancome, Estee Lauder, Clarins, and many more. She has been trained by numerous national makeup atrists around the world and has advance expertise within the cosmetics industry. Manal is also a presenter in motivational beauty seminars that are meant to empower women by helping them discover their true inner and outer beauty.